Food is Fuel Food is fuel and what you feed your body will change its performance. Mountain Bites are crafted to provide wholesome and sustaining energy, without empty-energy sugars. In their Artisanal nature each one is unique. The flavour profile defined by a hand-selected mix of Nuts or Seeds and Juice Sweetened Berries, then paired with our custom blend of nutrient-dense WHOLE GRAINS and SEEDS. Our ingredients are roasted in-house, ensuring the perfect nuttiness, freshness and crunch. Sweetened naturally with Dates and Coconut Nectar - our top choice of low-glycemic sweeteners, tapped from the coconut blossom and made in small batches. This is Emma! 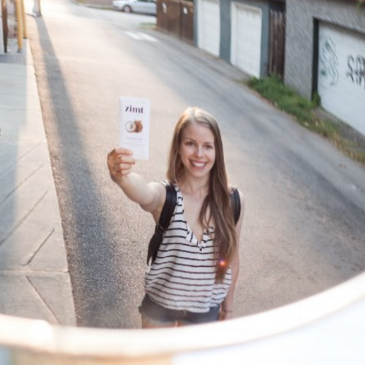 Emma is the maven behind Zimt chocolate and has been upping the chocolate game in BC since 2011. From the beginning, her mission has been to make the highest quality confections as ethically and sustainably as possible, while also making them GOOD for you. All her chocolate is refined-sugar free, raw and vegan with a creamy aroma and velvety, refined texture. We are so pleased to have Zimt Chocolate part of our Mountain Bite Granola Bars. In our effort to reduce waste where we can, we've partnered with A. Wiebe Woodworking, our local carpenter just up the road. A talented one-man operation crafting custom designs using as much scrap wood as he can find laying around the shop. Working closely to create one-of-a-kind display boxes for our customers and reduce our overall waste footprint.